When the USS Truxtun was shipwrecked off the coast of Newfoundland in 1942, an African-American serviceman named Lanier Phillips was rescued by the people of the town of St. Lawrence. The kindness he received transformed his life and ignited a lasting passion for civil rights. Lanier went on to a distinguished career in the US Navy, and he later marched with Dr. Martin Luther King, Jr. worked with Jacques Cousteau, and retold his story of transformation with the hope of inspiring change. 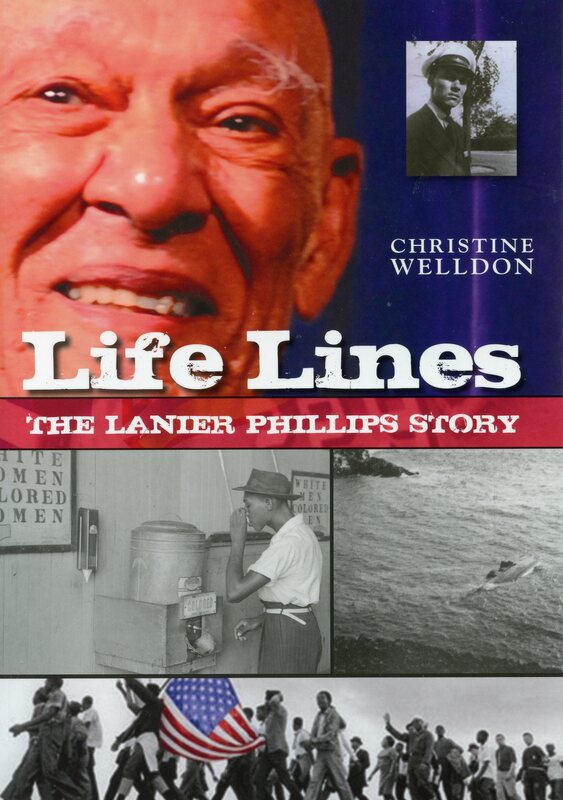 In Life Lines: The Lanier Phillips Story, award-winning author Christine Welldon weaves Lanier’s story through shipwreck, rescue, and the American civil-rights movement to reveal a tale of dignity, determination, and the incredible power of kindness.